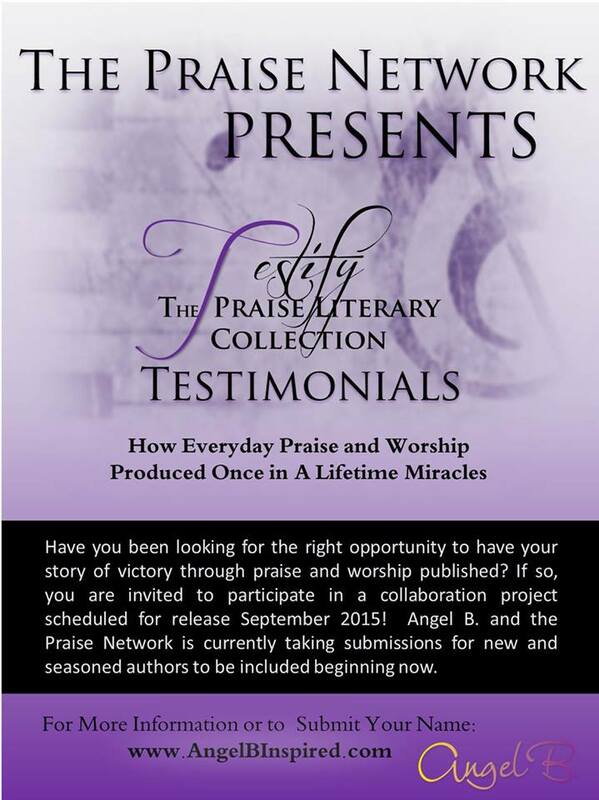 have you wanted to share your story of how praise and worship helped you overcome? Join me along with other women and men in this dynamic book collaboration project and share your amazing testimony with the world. Select your payment option from those below and submit your testimonial (2000 words or less) to angelbinspired@gmail.com.